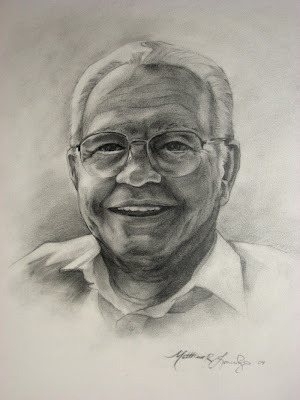 This is a pencil drawing I was working on for Jackie's Grandpa. He asked me about a month ago to draw his portrait in pencil. He passed away two days before I finished it. He was a great man, and we will miss him very much.